Buk missile producer Almaz-Antey has said that its experiments showed flight MH17 was downed from Kiev-controlled territory. The body adds that international investigators lack technical proof for their theory presented on Wednesday. According to Mikhail Malyshevsky, an adviser to the chief designer of Almaz-Antey, Malaysia Airlines flight MH17 was brought down from the village of Zaroshenskoye, which was controlled by the Ukrainian Army at the time of the crash. 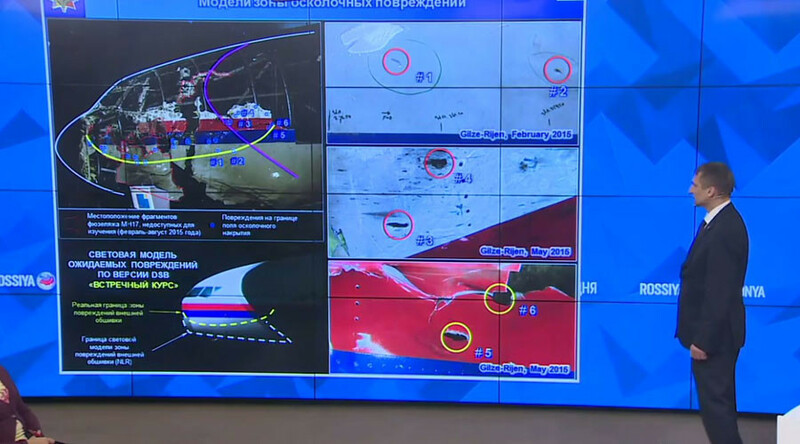 “To date, we conducted three experiments that confirm the version that the Malaysian Boeing was shot down by a missile from the direction of the village of Zaroshenskoye,” Malyshevsky said at a press conference on Wednesday. Earlier on Wednesday, the Dutch-led Joint Investigation Team (JIT) issued its report claiming that MH17 was downed by a 9M38-series Buk missile launched from the rebel-held area near the village of Pervomaiskoye in eastern Ukraine. The probe also claimed that the Buk system in question was brought into Ukraine from Russia, and after the launch was subsequently returned to Russian territory. 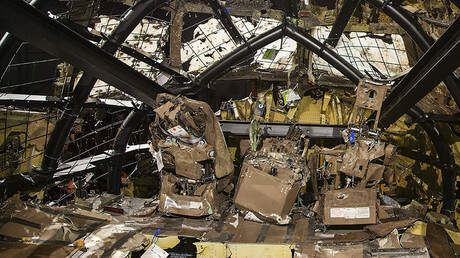 However, this version is contradicted by the damage which can be seen on the MH17 wreckage, he said. Malyshevsky said that they provided the Dutch investigators with technical details on the Buk missile model and the warhead which Almaz-Antey considered to be those used to hit MH17, but that data “was not convenient” for them. Malyshevsky presented the results of an experiment conducted by Almaz-Antey last year, which simulated the explosion of the Buk missile hitting the plane's cockpit. The Almaz-Antey representative stressed that while modelling the Buk missile strike, the Dutch investigators did not use the data on the respective Buk missile presented by the Russian arms producer. Instead they opted for the data on a US missile, which has technical characteristics different from Buk missiles. The JIT team has still not been able to name the exact missile model, saying the Boeing was shot down by a 9M38-series missile. Almaz-Antey says the results of its experiments show it was a 9М38 missile model with a warhead without the double T-shaped shrapnel which leaves so-called "butterfly-shaped" puncture holes. Regarding the launch site, Malyshevsky claimed that the angle at which the actual projectiles hit MH17 differs from the one presented by the international probe. 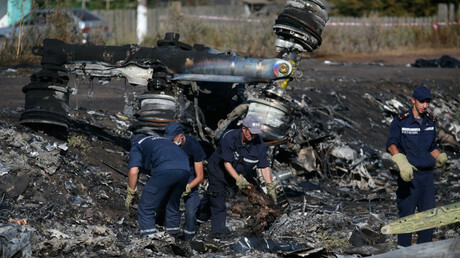 The angle of the impact on MH17 shows that the plane was likely downed from the area near Zaroshenksoye, he said.